Banner printing that gets you noticed. 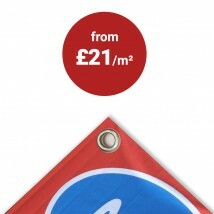 Cheap full colour printed vinyl banners delivered fast and made to last. If you're looking for full colour printed advertising banners rest assured we have the experience to get you noticed. 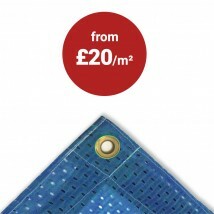 We have been printing banners for over 30 years and have produced 1000's over this time. Our custom printed outdoor banners have been used to promote everything from local school open days to televised international sports events. 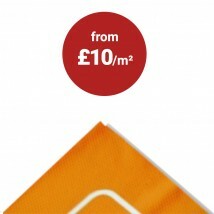 Print a banner - we offer great value for money on all PVC banners. Our custom sign banners come in all types and sizes. If you need advertising banners printing to get an instant price here. What type of material are banners printed on? Why use standard PVC banner material? - You have two things to look for here; the weight of the banner PVC (heavier is stronger) and if it is reinforced. Vinyl banners are the ideal choice for outdoor advertising banners as it is a weatherproof and durable 500gsm nylon reinforced PVC material. 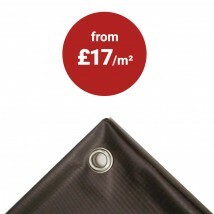 Easy to transport, easy to hang, perhaps the most versatile and cost-effective way to advertise. Why use Mesh banner material? - this material allows some wind to pass through so it can be useful if outdoor advertising banners are going to be used on an exposed site. Why use Blackout banner material? - if you are thinking of having a double sided print, for example on a cross street or lamppost banner, blackout material prevents any show through. Recyclable banner material - you will pay a slight premium for this type of banner material and it is not as thick or durable as standard banner PVC, but it reduces the impact on the environment and may be more suitable for your companies green policy. This material is quite often used by supermarkets. Fabric banner material - this alternative to PVC is popular when you want a more traditional canvas effect, perhaps to advertise your restaurant or gallery opening. Fabric banners can be used both indoors or outdoors. For outdoor advertising banners choose a company who uses UV stable so that they won’t fade in the sunlight. 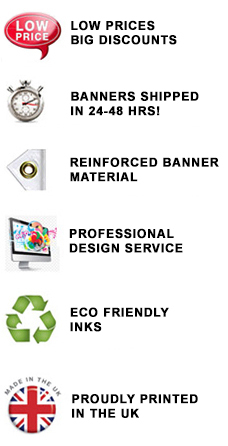 Some banners are printed using solvent inks but at Discount Displays, we use eco-friendly HP latex inks. 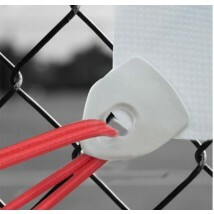 These are friendly to the environment with vibrant colours that will give long-term outdoor use. Our banner s are printed using HP latex eco-friendly inks, which have the added advantage of being odour free, making them ideal for schools and food halls. Some banner printers run their printers at less than optimum speeds to increase their throughput, but this can compromise print quality. The argument goes that banners might be viewed from a distance, so print quality is not critical. Spend a little more however and you will get crisp text and bright colours that show off your company in the best light. How you have your banner finished depends on how you want to display it. There are lots of ways to hang a banner, and to find the best method for your requirements we have a free guide - how to hang a banner. 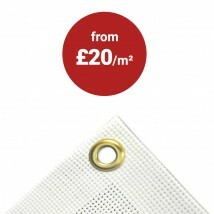 If you want cheap banners for short term advertising use you can get away with a cut edge and eyelets. For longer-term outdoor advertising banners you should go for turned double thickness welded or sewn edges with eyelets or pockets, which helps prevent the banner tearing outdoors. What designs work best on banners? Simple designs often work best on banners. You often don’t have long to catch the eye of passers-by. You can find out what colours work best on printed banners and the type of fonts to use in our large format guide section - banner design guides. No problem! You have two solutions available. 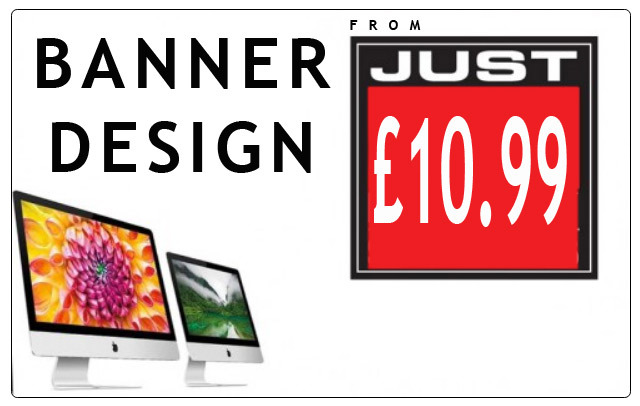 We offer a set price banner design service starting at just £10.99. Alternatively, choose one of our pre-designed templates and customise it using our free online design tool. Simply click the banner above to browse our templates. Do you sell banners for lamp posts? 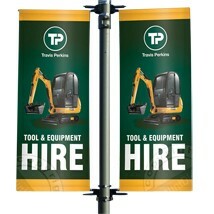 Yes, we stock a wide range of lamp post banners and brackets all with high quality custom printed graphics. We have been printing banners in the UK for the last 30 years so know how to get the best print for your budget and specification. If you need any advice, get in touch with our team of experts by calling 0844 800 1020.